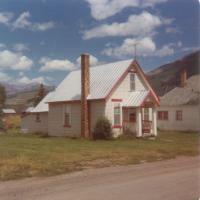 Arnott and Vederoff Ancestors - Arnott Family home in Crested Butte, Colorado. Photo taken August, 1975. Arnott Family home in Crested Butte, Colorado. Photo taken August, 1975.